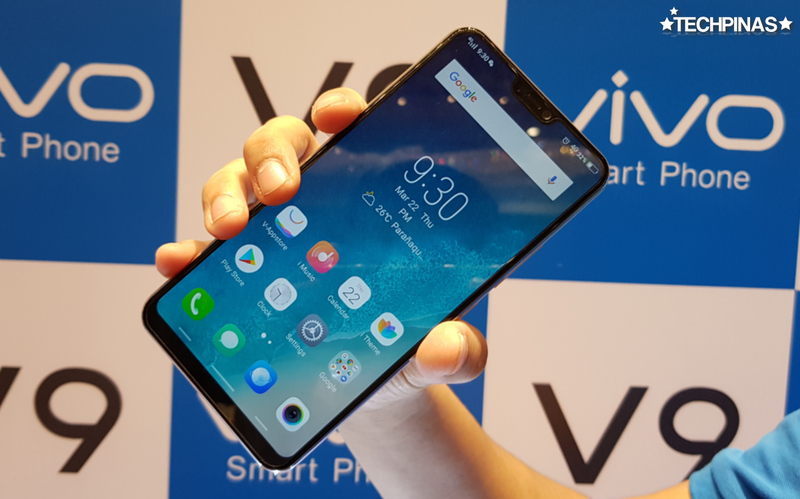 On Thursday - March 22, 2018 - at around 7PM, Chinese tech brand Vivo Mobile formally unveiled their first flagship Android smartphone model for 2018 via an exclusive summer-themed media event held at The City of Dreams Manila in Paranaque City. 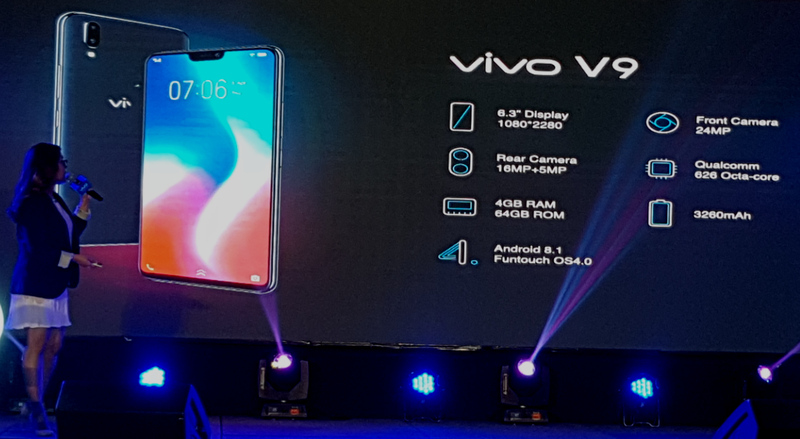 The handsome and powerful Vivo V9 officially supersedes the best-selling Vivo V7+ from 2017 to become the new top-of-the-line handset of the company, which is now the third best smartphone brand in the Philippines based on total units sold. 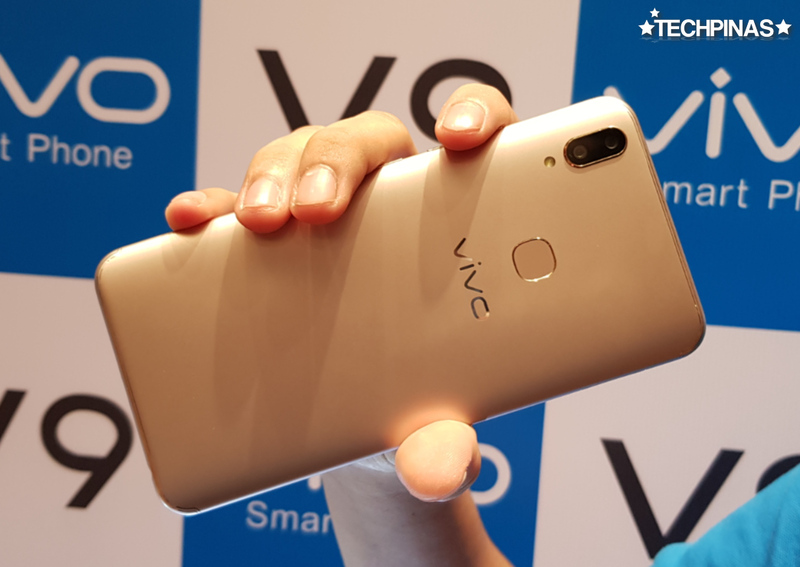 This device is also proof that Vivo is ready and willing to deliver its own rendition of current trends in the mobile scene -- specifically the dual camera module and the tall display with notch. Let me give you some of the key features or main selling-points of this amazing fresh release. 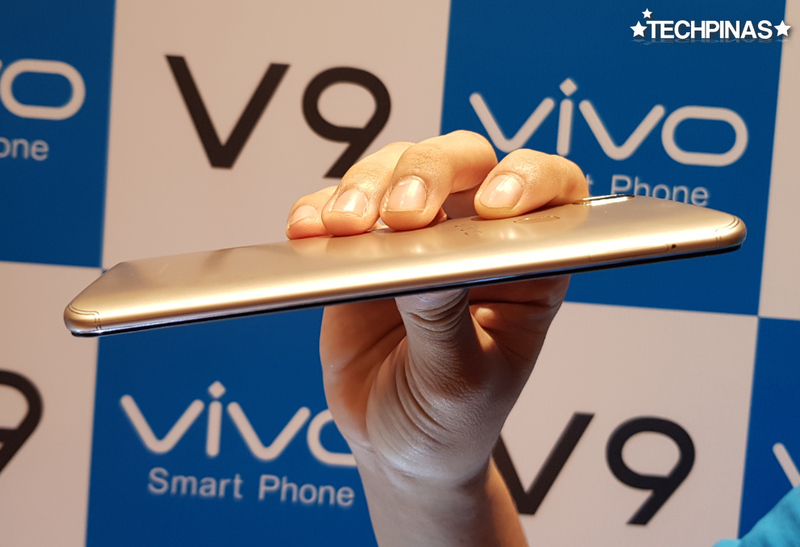 First, of course - as I've mentioned, we have the notched display with tall 19:9 aspect ratio that takes up almost the entire face of the device and leaving little room for bezels. This screen measures 6.3 inches across, has a resolution of 2280 x 1080 pixels, and comes replete with rounded corners. 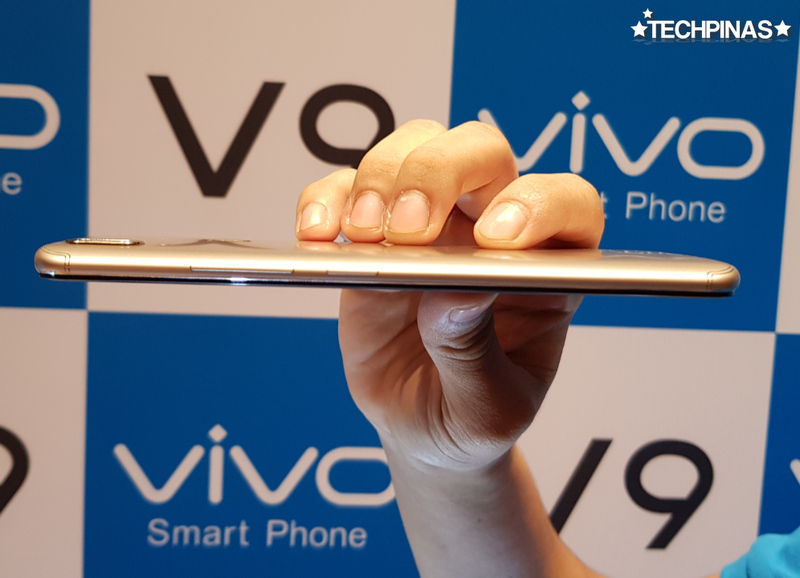 By being taller than the usual 16:9 aspect ratio phone displays, this panel allows Vivo V9 to give users more viewing space all while having a smaller footprint akin to that of an older touchscreen handset with 5.5-inch display. Oh and if you're wondering, the notch is only there to house the front-cam and some of the sensors. Currently, swiping down either from left or right of the notch will give you the same result. 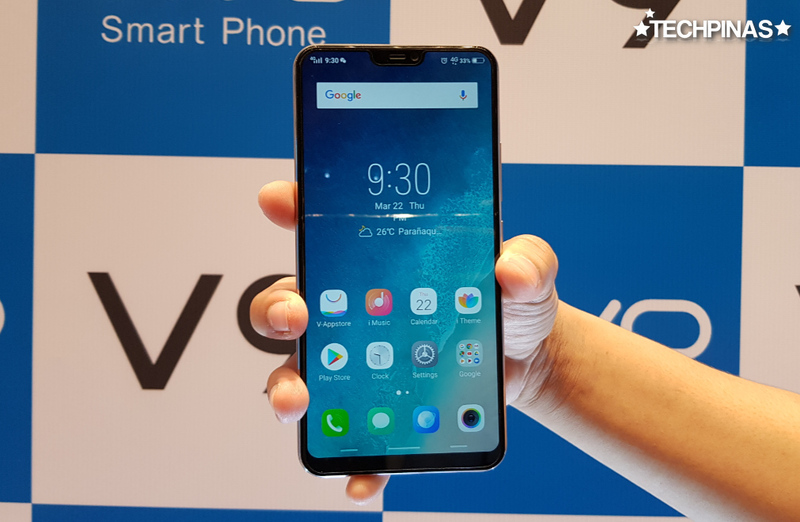 Second, Vivo V9 features a Dual Rear Camera combo made up of a 16 MegaPixel f/2.0 main shooter along with a secondary 5MP optic. Together, these two allows this device to deliver portrait shots with cool bokeh effect wherein the background of the subject is beautifully blurred. 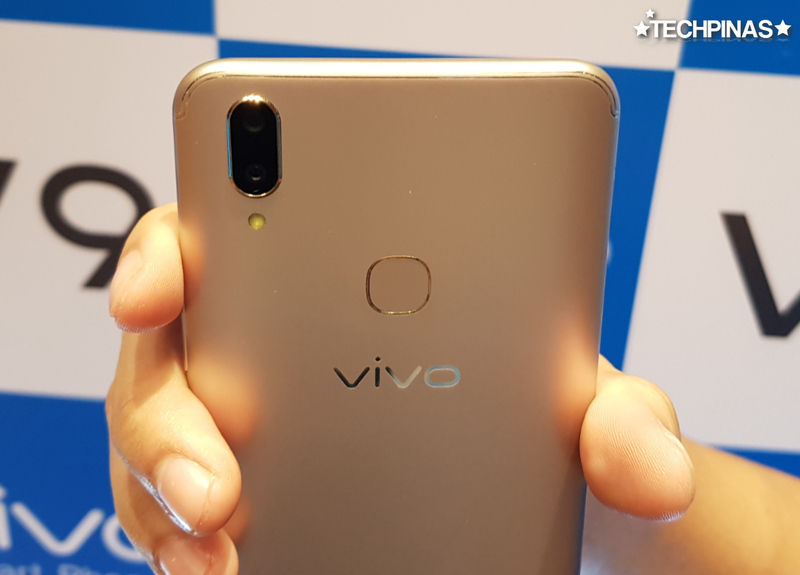 Third, this model is the first handset from Vivo to have AI Face Beauty Technology embedded into its front-facing camera. With this innovation that instantly figures out the gender, skintone, and age of the user, the 24MP front cam can give you more natural-looking selfies even after beautification. Fourth, using the V9, you can now apply more than 40 cool and fun AR stickers to your selfies and videos that you can then share on Facebook, Twitter, or Instagram. Fifth, this model comes with Android 8.1 Oreo right out of the box. This is one of the more updated version of Google's mobile operating system, which means that you can enjoy the latest features that this firmware has. 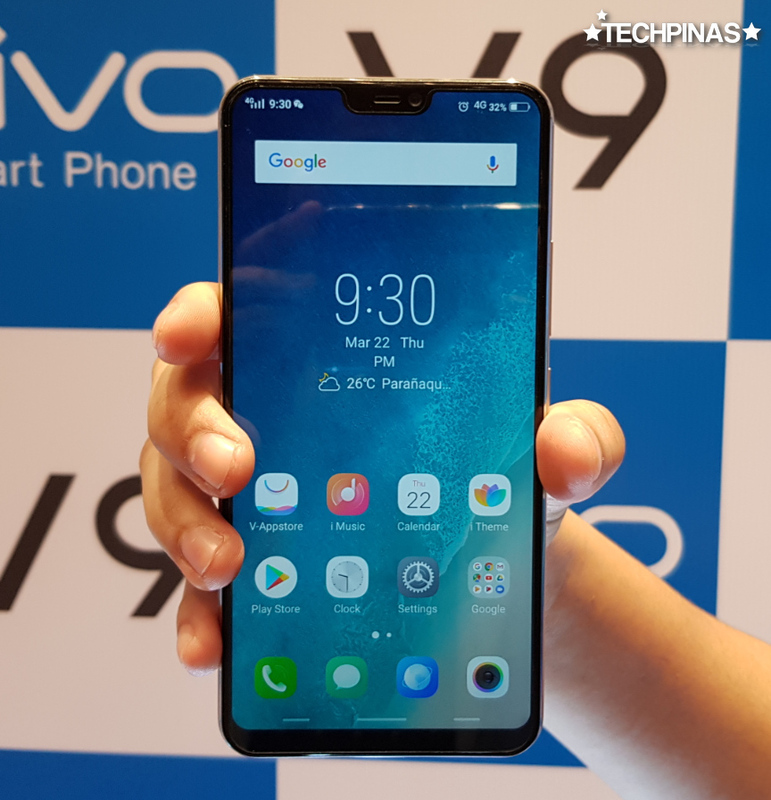 Sixth, Vivo V9 has good innards considering its mid-level SRP. 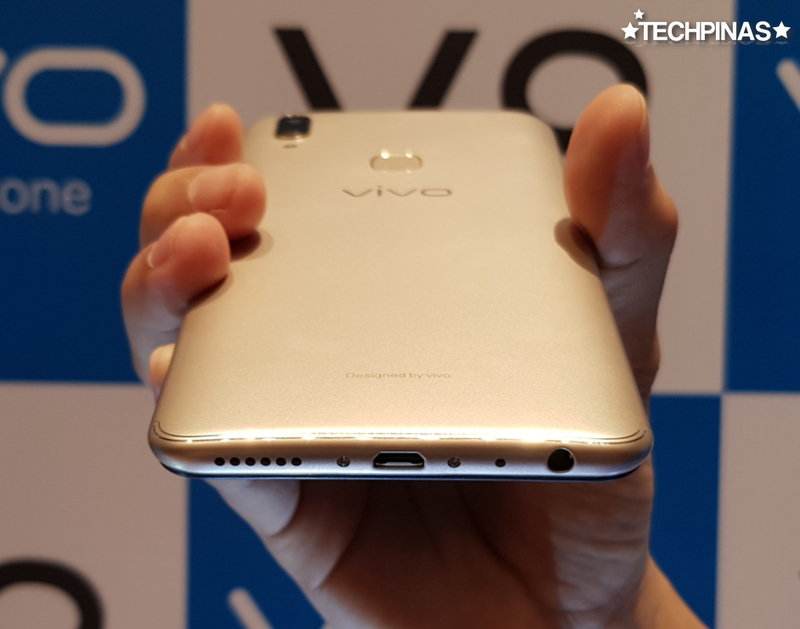 The phone is powered by the energy-efficient yet more than capable 14nm 2.2 GHz Octa Core Qualcomm Snapdragon 626 processor, has 4GB of RAM for multitasking, and comes with 64GB of onboard storage that's easily expandable via the dedicated microSD card slot. Seventh, for users who value security and privacy (which is practically everyone), this model has a Fingerprint Scanner located at the back plus Face ID facial recognition feature via the front-facing camera. Aside from adding another layer of protection against those who want to take a look at or steal content from your phone without your knowledge, these two unlocking methods are faster and more convenient than the old passcode or swipe styles. Eighth and finally, if you are an avid mobile gamer, you will surely appreciate the phone's all-new Game Mode that allows you to focus more on what you're playing by blocking alerts and notifications, letting you multi-task using a smaller keyboard to reply to messages for example, and to continue playing games on WiFi even with background calls. 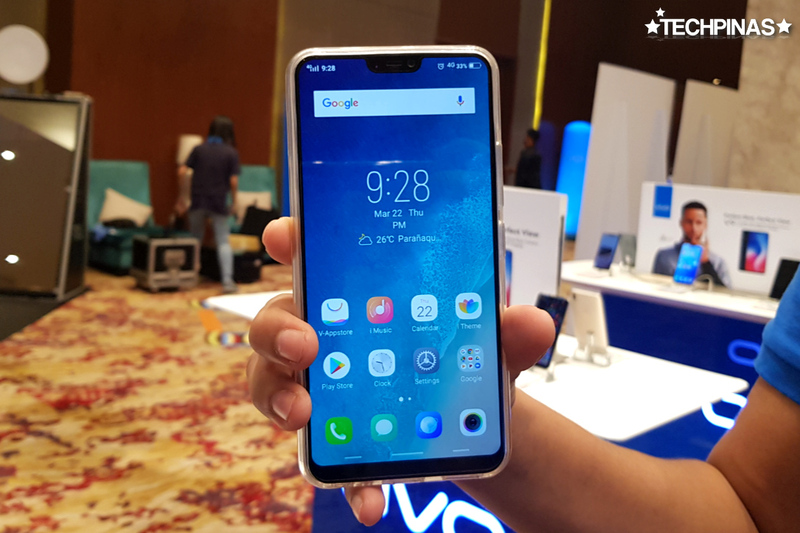 Vivo V9 runs on a 3,260 mAh non-removable Li-Ion battery pack that should be enough to deliver a whole day of uptime with regular use. Yes, its quite small for a handset with such a large screen but we must consider the great energy-efficiency of the processor. 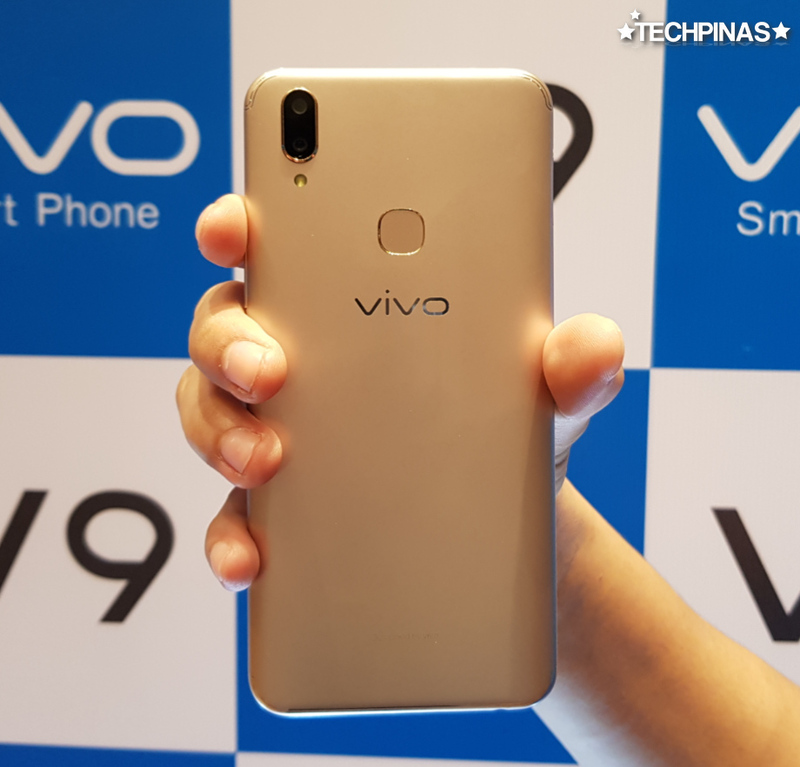 For those who are interested in purchasing this stellar flagship, Vivo V9 dons an official suggested retail price of Php 17,990 and I believe it will initially be out in two colors, namely, Gold and Black. 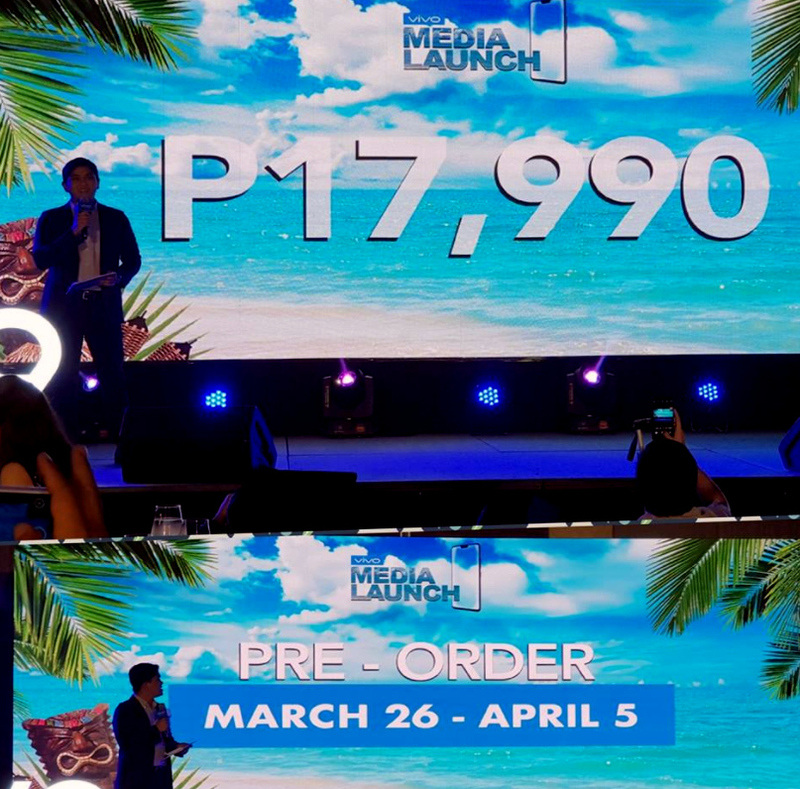 Those who will successfully pre-order Vivo V9 from March 23 to April 5, 2018 will enjoy generous discounts and freebies care of the company. Kindly visit Vivo Mobile Philippines' official Facebook page for more details regarding this offer. 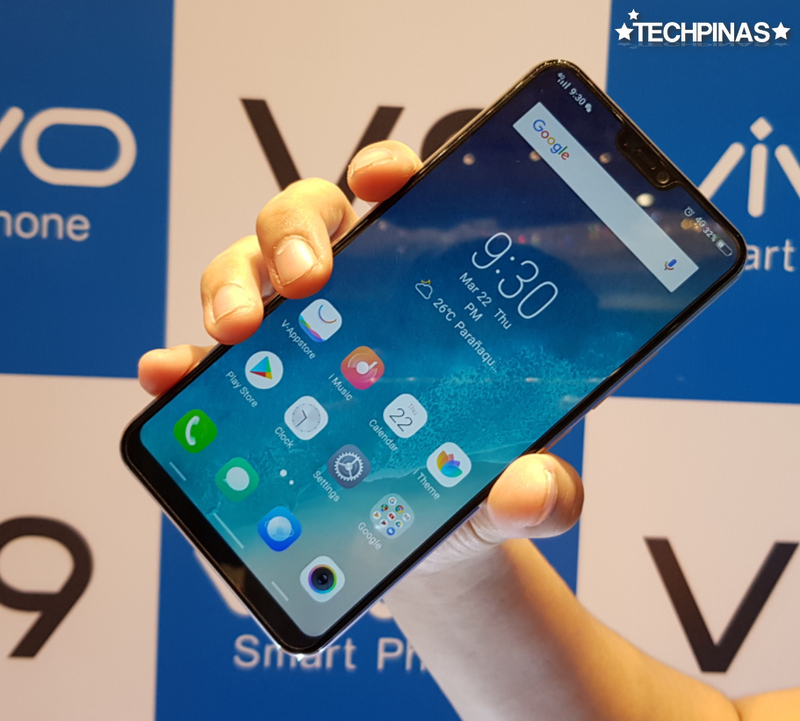 TechPinas Key Remark Vivo V9 is the first flagship-level smartphone of Vivo Philippines in 2018.